appellations. Uniquely designed frogs fronting many of the business’s reminds us that Angel’s Camp is the setting of Mark Twain’s 1867 fiction, “The Celebrated Jumping Frog of Calaveras County”, a familiar novel if you are my age. The first order of business upon our arrival was to complete the Thursday night dinner main course, our contribution to the weekend festivities. We extracted a “Fennel-crusted Salmon with Celery Root/Pear Puree” recipe from Wine Spectator magazine, added some fresh grilled asparagus and paired with a local 2008 Leona Valley Winery Sangiovese. The meal began with a fresh butternut squash soup with crème fraiche paired with a superb Russian River Valley sauvignon blanc, arguably one of the varietals best in California with past appearances on Wine Spectator’s annual Top 100 list. The 2008 Merry Edwards Russian River Valley Sauvignon Blanc, with consistent ratings in the mid-nineties, expresses a rich texture, soft flavors of honey and melon and a bit of citrus. A fantastic food wine, it enhanced the butternut squash soup and was a bridge to the herbed, grilled asparagus. 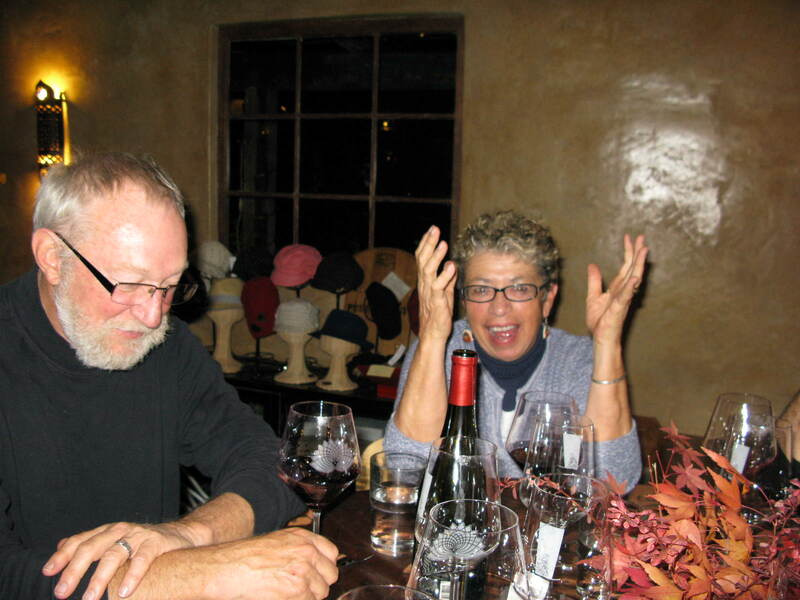 David Reynold’s 2008 Leona Valley Winery Sangiovese began with an interesting story. For various reasons, his neighbors could not pick their sangiovese grapes and offered them to David with the promise of his first ten cases. The wine, with multi-layered flavors, some added barbera, stood up to the fennel, also offering a long, soft finish. 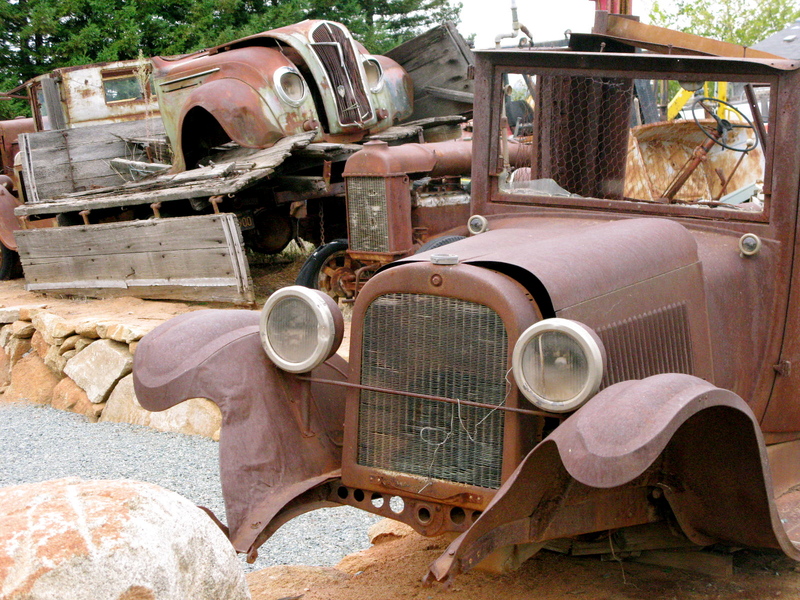 location, Driven Cellars, is novel on many counts; including the eclectic collection of old trucks and tractors that adorn the property like some “combustible” sculpture garden. The vineyards began in 1993 with mostly popular zinfandel and have expanded to a variety of other reds, releasing the first vintage in 2003. Although their impressive “green” facilities incorporate recycled buildings, rainwater collection systems and solar heating/cooling, the impression that I left with was one of a variety of very fine wines, quietly produced under the radar and offering high quality for value prices. We tasted the entire palette of wines from Driven Cellars, a barbera with candied fruit on the nose, luscious zinfandel and a primotivo, aged in, of all things, Minnesota oak. Of all these nice wines, three stood out, unique examples of the local terrior. The tempranillo varietal, known as the Spanish cabernet sauvignon, seems to thrive in California’s gold country. The Driven Cellars Tempranillo 2008 ($23), to prove my point, was luscious on the nose and palate, with rich fruit through a long finish. The tempranillo varietal seems to standout in the Sierra Foothills, notably the Twisted Oak “The Spaniard” blend and young Allegorie Tempranillo 2009, recently tasted in the picturesque town of Murphy’s. were balanced and complex. I now sense that we have set upon something authentic, something beyond the panoramic views and abstract metal, reminiscent of man’s relationship with vehicles, those monstrosities needing V8’s to leave tire marks on the pavements. It is all seemingly tied together with the Driven Cellars “454” Red Wine 2007, their inimitable flagship blend that pays homage to the cubic inches of those hot rod engines. This exclusive blend of primotivo (48%), syrah (24%), zinfandel (23%) and tempranillo (5%) manages to maintain texture and balance, with flavors accessible for most palates. 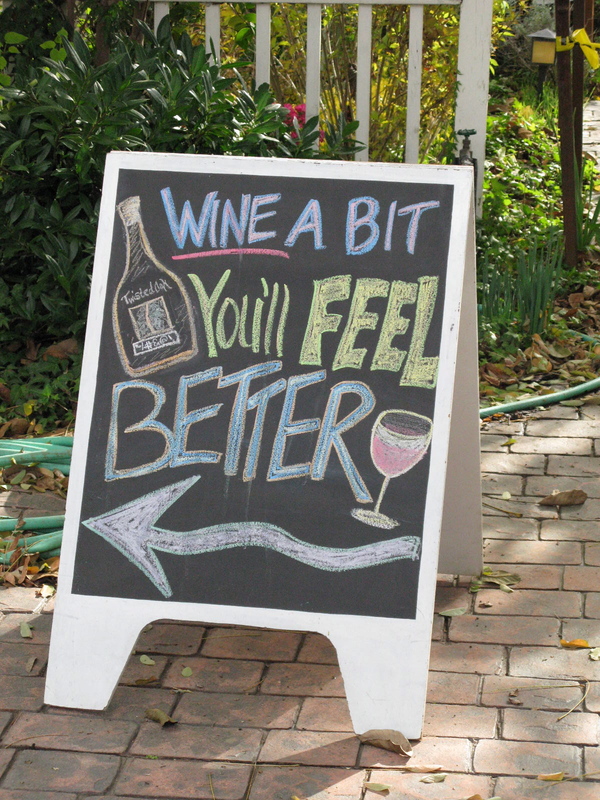 The novelty of the site does not overpower the wine, but foreshadows that which exceeds expectations. Robin and Ginny continued our exploration of Calaveras County wineries by planning an exclusive “Fork and Cork” winemaker’s dinner at Val Du Vino Winery in Murphy’s. Owners Jonathon Phillips and Jeanine Hebel have a clear division of duties in operating the winery. 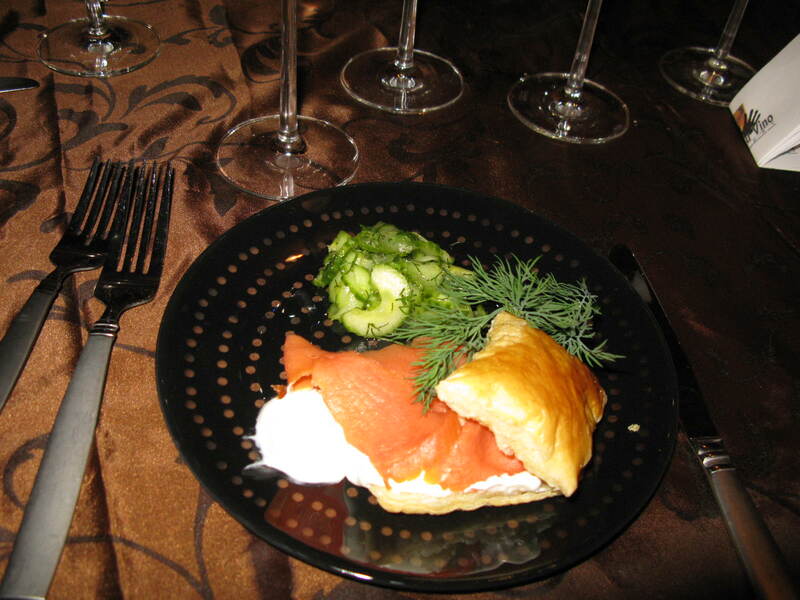 Jonathon sticks to winemaking and Jeanine, a renowned French chef, handles catering and special pairing dinners. What a treat to enjoy Jeanine’s exquisite cooking and Jonathon’s stories of his diverse career as he poured and exuded pride in his wines. Jonathon Phillips sources all of his grapes from fine vineyards in the Sierra Foothills and beyond. His profile includes a zinfandel from Paso Robles and a north coast cabernet sauvignon, undertaking a hands-on approach to winemaking and content with limited production. The magnificent entrée’s were paired with three bold new red wine releases, one, the Val du Vino Syrah 2009 ($30) from Calaveras County coupled with her Lamb Moussaka. Heavy spice hints combine with concentrated fruit in classic syrah style, always good with lamb. The ultimate paired wines included a fruity Val du Vino Zinfandel Paso Robles 2009 ($25) and Val du Vino Cabernet Sauvignon 2007 ($35) from Mendocino County. The cabernet, surprisingly paired with Salmon Fillets in a Cabernet Sauce served with Potato Leek Ravioli, was big and soft at the same time, the result of good balance and texture. The jammy flavors of the central coast zinfandel stood up some incredible Baked Pears filled with Stilton, Cranberries and Walnuts. What a feast, kept real with moderate portions that truly helped the expression of the wine. Val du Vino Winery was a nice discovery; tasting handcrafted, boutique wines with celebrated contemporary French cuisine. These limited production releases will be impossible to find in So Cal, making their wine club or internet sales the best option. with nice aromas and flavors of melon, tropical fruit, honey and butterscotch on the finish. The Novy Syrah Rosella’s Vineyard 2008, from friend David’s cellar, would be the first dinner wine. 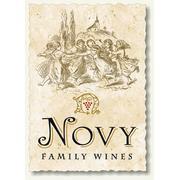 Novy Family Wines, based in Santa Rosa, produce mostly syrah from some of the state’s finest vineyards. This one has been consistently rated in the mid-nineties. The second pair, RN Estate Pinot Noir Santa Rita Hills 2009 from Kathy Joseph’s Fiddlestix Vineyard conveyed nice, balanced fruit aromas and flavors. Both wines matched up well with the spices of the meal, as they were intended to. Friends of nearly 40 years, Robin and Ginny earned their service points for the Brown’s Valley Fork and Cork Society. Thanks for a delightful and informative weekend. 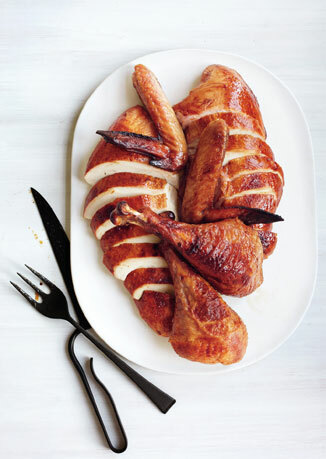 This entry was posted on Tuesday, January 17th, 2012 at 1:46 am	and posted in Food, Wine. You can follow any responses to this entry through the RSS 2.0 feed.